If you live in Texas, you need to get in some water and splash around. It is HOT. This little cutie is ready to get to the pool, that's for sure. 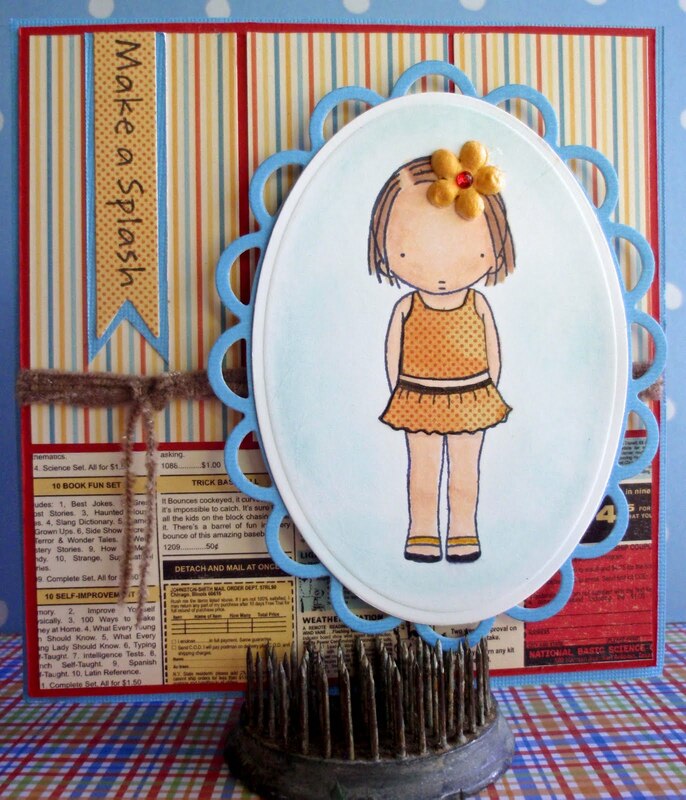 She is from last month's release at MFT Stamps. 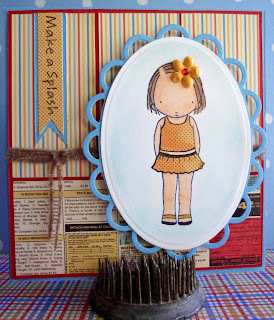 I used two Spellbinders dies for the image and the double ended banner die is from PaperTrey Ink. This is my entry into the MFT Wednesday challenge. I'll be posting it there in a moment. The paper is from October Afternoon. The collection is called Rocket Age. I bought it thinking it was very masculine, but I wanted to try to use it on a girl card too. I always like to use products in a way they were not intended. The image is colored with Copic markers and her outfit is paper pieced. I added a flower colored with a Copic marker and a little gem. The fiber is some I've had in my stash for a while now. I am off to make a card for a co-worker now. I will post it here soon. See you tomorrow with another fun card.